Start finding hidden treasure right under your feet! 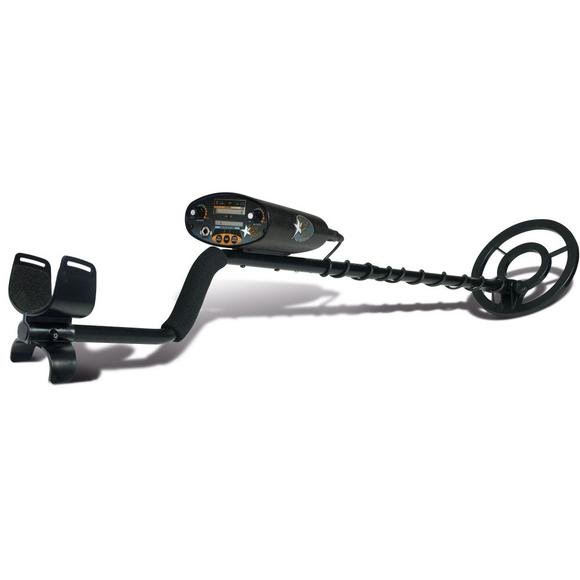 The Bounty Hunter Lone Star metal detector can detect coin-sized objects up to 8 inches deep; larger objects up to three feet and has a 3-tone audio and 5-segment target identification feedback so you can discover valuables and avoid unwanted items. The Lone Star automatically scans the soils and continuously adjusts to changing soil conditions. Sees through the earth&apos;s naturally occurring minerals.